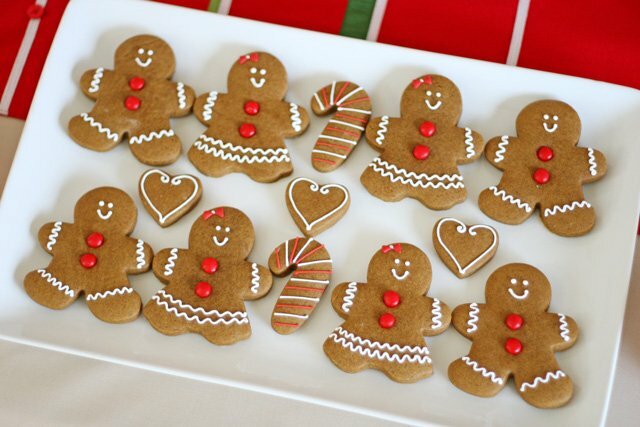 This weekend my house was filled with the scent of gingerbread, and the sounds of 10 little girls having fun! 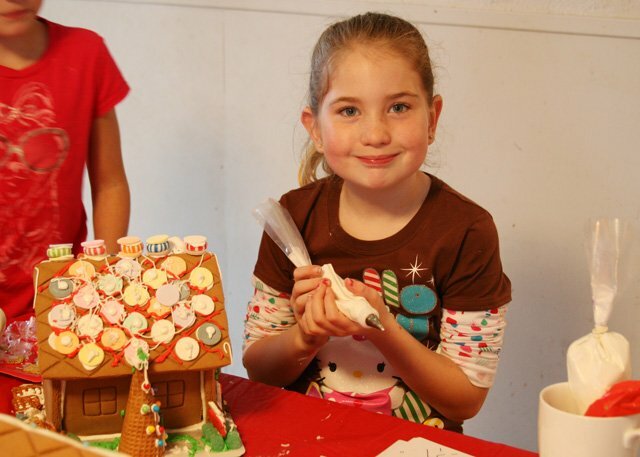 We hosted a Gingerbread House Decorating Party for some of my daughter’s friends as a special way to kick off the Christmas season. 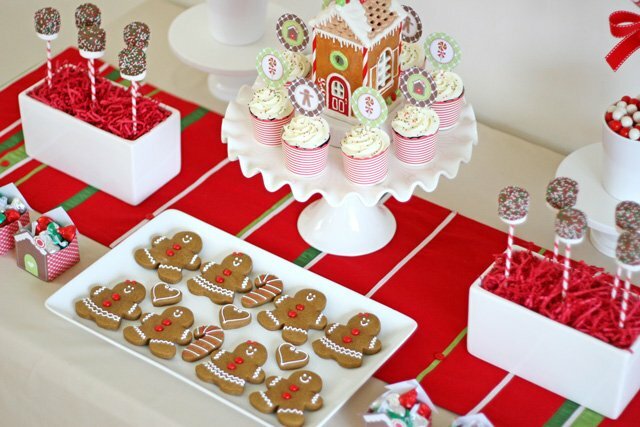 I asked each guest to bring a (store bought) gingerbread house to decorate, and we spent the afternoon decorating houses and enjoyed some treats. 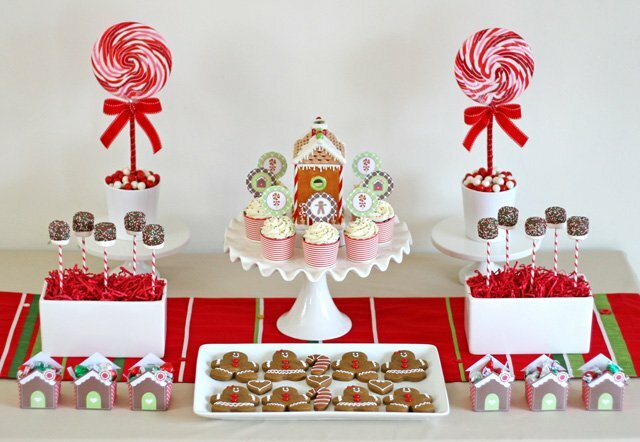 I prepared a dessert table in traditional Christmas colors, and filled it with yummy treats. and little treat boxes (from Tomkat Studio) filled with Hershey’s Kisses. 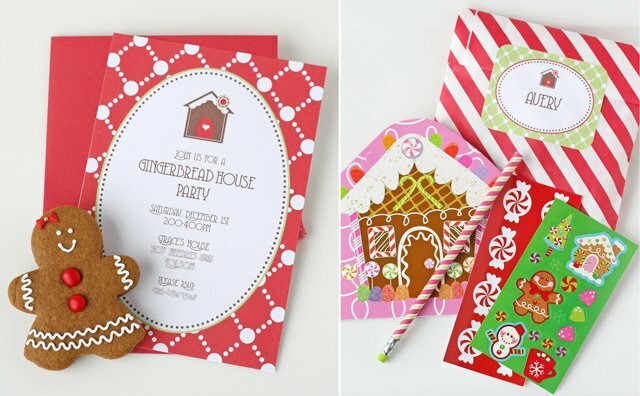 The party invitations (above) from Tomkat Studio set the theme for the party. I prepared little favor bags for each guest, which included a little notebook (from Michael’s), stickers and a pencil (in striped bags from Tomkat Studio). 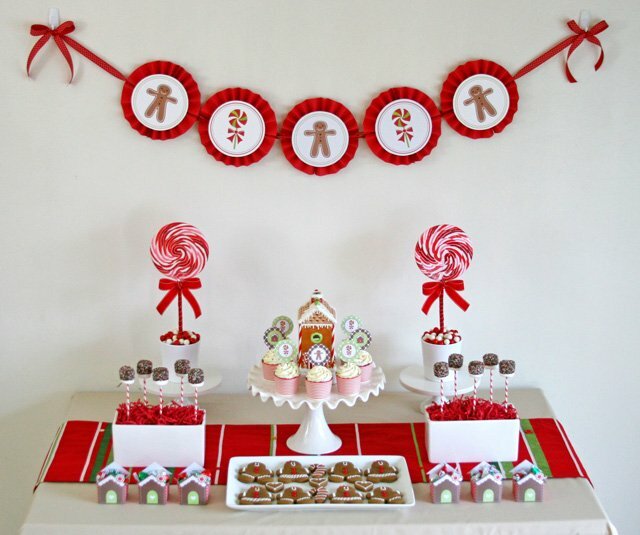 I made a banner to hang above the dessert table using custom printables from Tomkat Studio. 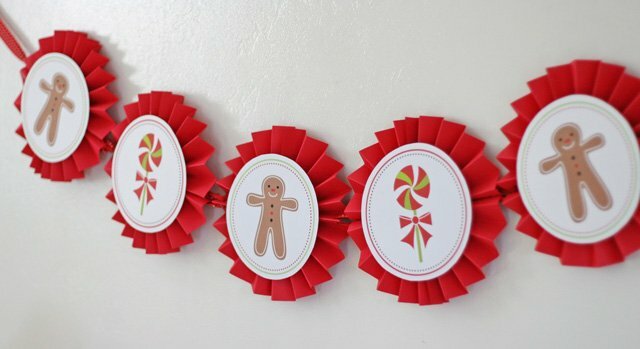 I added dimension to the banner using folded paper and a technique similar to the idea shown HERE from TomKat Studio. 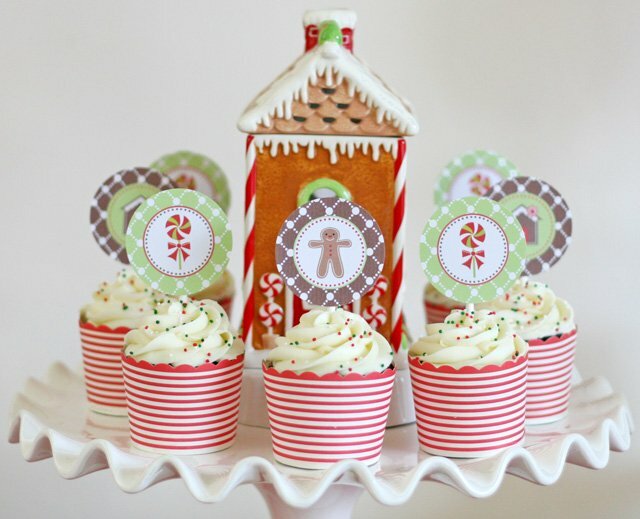 I baked Chocolate Cupcakes in festive cupcake cups (similar available from Tomkat Studio or Shop Sweet Lulu), and dressed them up with gingerbread themed toppers from Tomkat Studio. 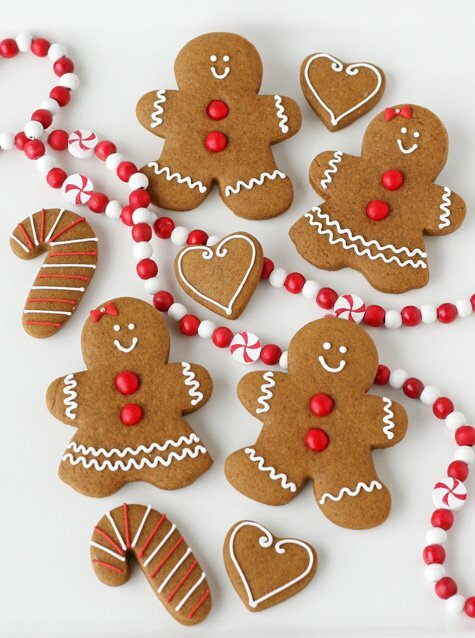 I made yummy Gingerbread Cookies and decorated them in the classic fashion, with red-hots (baked on) and a little accent of Royal Icing. 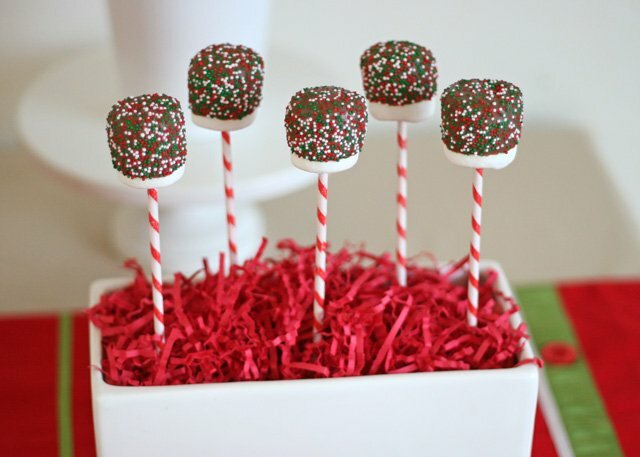 These Marshmallow Pops are super easy to make (just dip marshallows in chocolate and add sprinkles), and are so festive and delicious! I found the stripped pop sticks at Cost Plus World Market (this year). 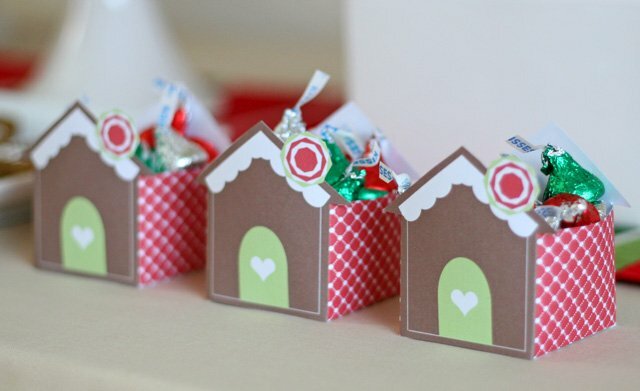 Cute little boxes (a printable from Tomkat Studio) were filled with Hershey’s Kisses. 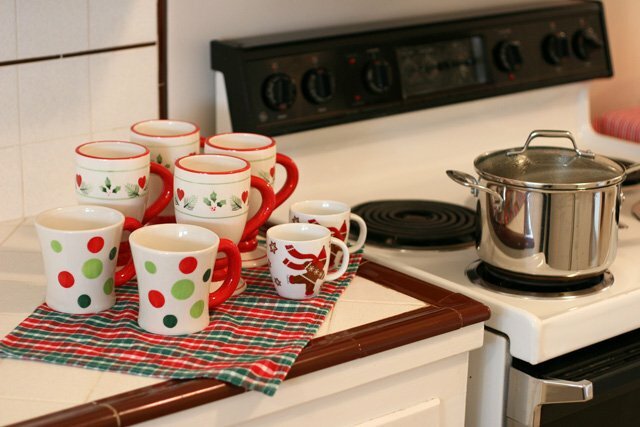 I made hot chocolate and hot apple cider, and had it simmering on the stove. The kid-sized gingerbread man mugs were a recent purchase from Crate and Barrel. 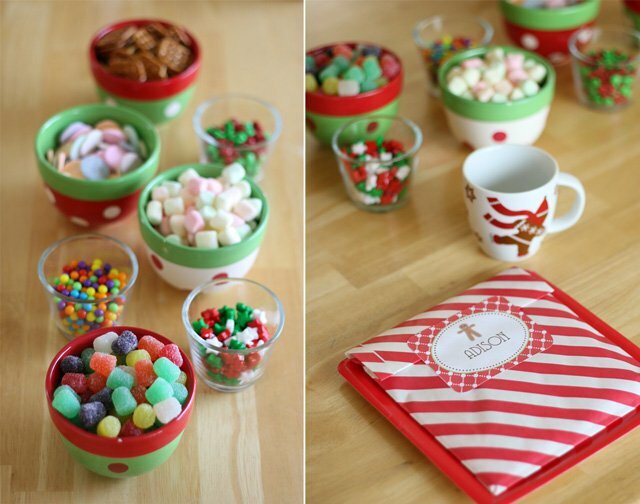 Although most gingerbread kits come with candy, I had lots of other pretty candies ready to choose from as well. Personalized favor bags (above) doubled as place cards. It was so fun after all the planning and set up to just watch the little girls all have fun! Kids are so creative and are not handicaped by fear of imperfection (as so many of us adults are!). 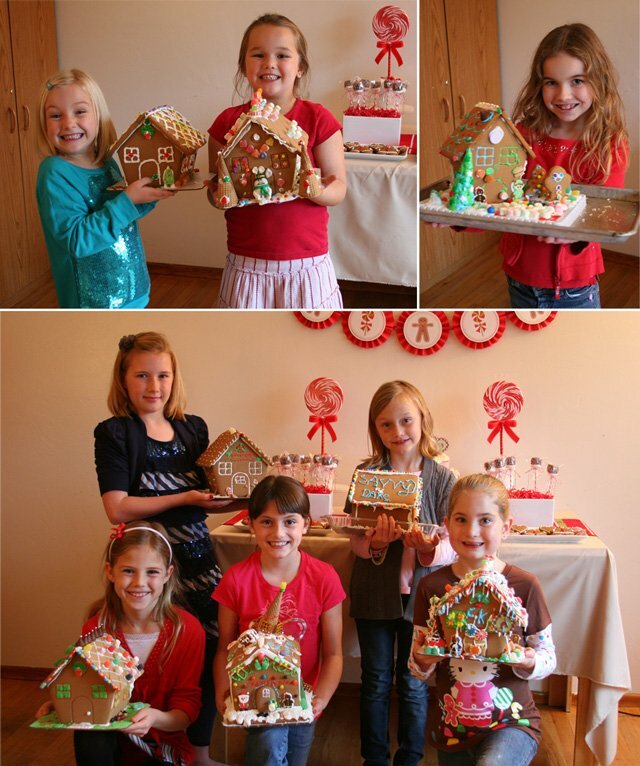 They all jumped right in, and decorated their houses from top to bottom! 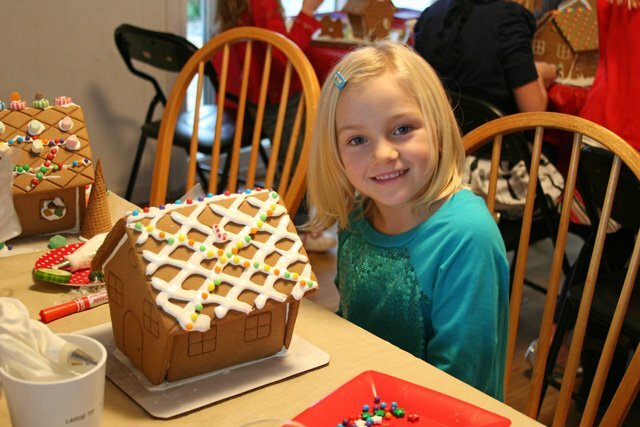 In years past I have made gingerbread houses for each guest… that is a silly amount of work! Guests don’t seem to mind at all to be asked to bring their own house. 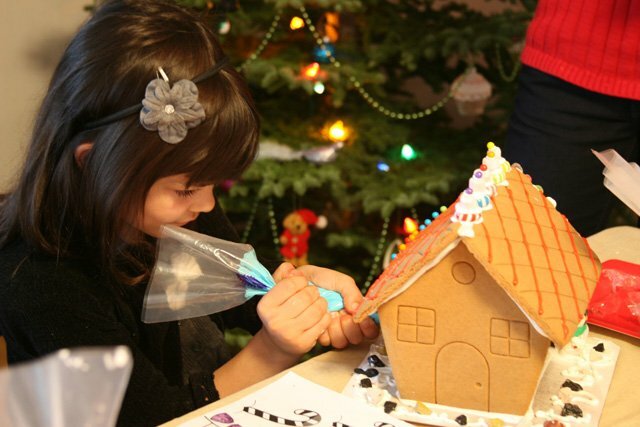 I highly recommend to my guests to purchase a pre-assembed house, so the kids can get right to the decorating. Young children have a hard time paitiently holding up walls and waiting for their house to be set up before getting to the decorating. Costco usually sells pre-assembled houses for the same price as most stores sell the kits. 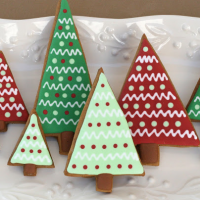 Although most gingerbread house kits come with frosting, I still make up the frosting myself (before the party), so it’s ready to go. 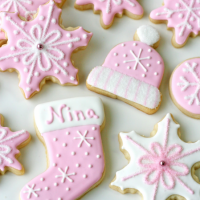 I use my regular Royal Icing Recipe, and mix it to a nice thick consistency. 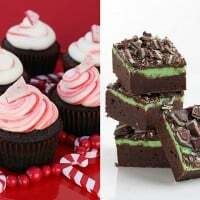 For this party of 10 girls I made 8 or 9 bags of white royal icing, and 2 bags of red, 2 bags of green, and 2 bags of blue. It seemed to be a good amount so the girls didn’t have to wait for icing, and I didn’t have a ton left over either. Invitaions and paper details from Tomkat Studio. 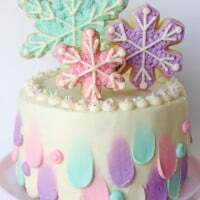 All other links to recipes and props are listed within the post.